Born in Kingsport, Nova Scotia on 30 November 1879, he came to Winnipeg in 1897 and swept floors in a doctor’s office for three dollars per week. 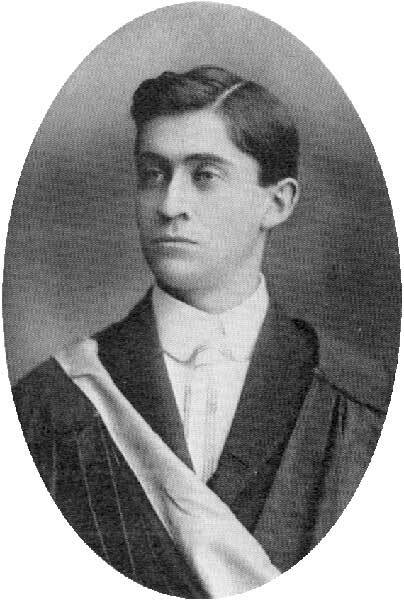 Lamed for life at the age of 16, he learned Latin on his own and graduated from the University of Manitoba in 1903. He first set up medical practice in Souris, then in Brandon in 1906, where in 1915 he founded Canada’s first medical clinic. Bigelow’s clinic was modelled on the Mayo Clinic, and consisted of a group of specialists who worked together to provide medical treatment and who presented the patient with a joint bill. Bigelow travelled across southwestern Manitoba by horse and later by automobile for many years. In 1907, he married Grace Ann Carnegie Gordon (1877-1958) at Minneapolis, Minnesota. They had five children: Mary Grace Bigelow (b 1908), John Todd Bigelow (1909-1913), Wilfred Gordon Bigelow, Agnes Amelia Bigelow, and Daniel Bigelow. He died on 13 August 1967 and was buried in the Brandon Cemetery. Forceps, Fin and Feather by Wilfred Bigelow (1969).